After the expulsion of the Jews from Spain and Portugal in 1492 and 1497 there was a big diaspora of the Jews originating from these lands (the so-called Sephardic Jews) throughout the whole Mediterranean. Thanks to the communities they build up in different cities on the Mediterranean shores, they created powerful trading networks. One in particular has an interesting and influential history and is therefore worth studying: the Sephardic trading network between the Italian peninsula and the Levant. In the Italian peninsula there are two cities which have had a rich trade with the Levant: Venice and Livorno. Venice is known for its long trading history and its hegemony on the trade with the Levant. Still, mid-seventeenth century this hegemony had come to an end. From that time on, Livorno is described in the literature as most important Italian city for the Levantine trade. Historian J.P. Filippini calls Livorno even ‘the new Venice’. In my research I’ve tried to make a comparison between the Sephardic trading network with the Levant of these two cities. I will give a short summary of my results. Like most other European cities Venice was long time very hesitant to let the Jews into her city. Therefore a community of Jewish bankers established itself outside the city walls on the Venetian shoreline, especially in Mestre. At first Jews were allowed only fifteen days per year in Venice itself. However, slowly a small community of Jews began to develop within the citywalls. The breakthrough came with the start of the war of the Lega di Cambrai in 1509: The Jews in the mainland fled to the save city. The Republic saw tax-related conveniences in keeping the mostly rich Jews in the city, so afterwards they were allowed to stay. The ghetto of Venice was the oldest of the whole Italian peninsula. The first ghetto, called Ghetto Novo, opened its doors in 1516. It was completely surrounded by water and had only two exits. The doors closed every night at midnight and guardians, paid by the Jews, made sure that no-one, (except for physicians) came in or out. The ghetto was very overcrowded and it was not unlikely that houses collapsed because of the gathering of too many people in one house. The inhabitants of the Ghetto Novo were mainly Italian-German bankers. In 1541 the Republic established a second ghetto, the Ghetto Vecchio, which was mainly inhabited by the Sephardic Jews. The establishing of this second ghetto was due to a proclamation made by the Republic in that same year in which the commercial crisis and the loss of the trade hegemony of Venice was proclaimed. Like I said before, the Sephardim had a very strong trading network. By letting them build a community in Venice, the city tried to keep her hegemony of the Levantine trade. The Jews soon became a big player in the Venetian trade and at the end of the 16th century their revenues counted for one-third of the total revenues made by Venetian traders. In the Levant they sold Venetian-made glass, paper and luxury articles like Italian cheese, clocks and gemstones. In exchange they bought wool, dyes and raw silk that were needed for the Venetian cloth industry that was booming in the 16th century. They also bought large quantities of grain, important for the food supply of the Republic. Their relations with the Sephardic communities in the Levant were very strong, and the Sephardim often had a big hand in the Venetian-Ottoman diplomacy. The success of the Sephardim led to jealousy of the native Venetian traders. In 1570 this even led to an expulsion of three years from all the lands of the Republic when Venice and the Ottoman court went at war with each other. Because of the lobby of their Levantine brothers and because Venice had become too dependent on the services of the Sephardim, they were allowed to come back. However, even the Sephardic Jews couldn’t save the hegemony of Venice. Eventually the city turned away from the Levantine trade and became involved with industries on the mainland. 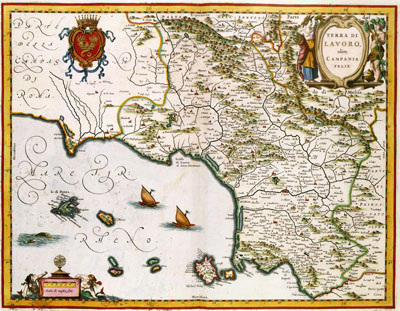 In the 17th century Livorno took over a great deal of the trade with the Levant. The pragmatic policy of the Tuscan duchy of the De’ Medici-family made this small and unimportant town into one of the dominating ports of the Mediterranean. In 1593 Francesco I de’ Medici proclaimed the Livornine, a set of privileges for all the foreign merchants that came to Venice. A significant part was directed especially to the attraction of (Sephardic) Jews. They gained freedom of religion, could work in every work field and their representative body, the massari, were officially recognized by the duke. Every year five massari were elected among the Jews. They could decide through a ballottazzione who was allowed to become a member of the Jewish community and they could apply Jewish law in the case of disputes between Jews. The Jews in Livorno were not limited to a ghetto. They could live freely where they wanted. However, most Jews lived near the synagogue. Like their Venetian predecessors, the Jews of Livorno bought mostly raw silk and wool in the Levant. But different from Venice they also traded a lot with North-Africa and Iberia. From this last area they got products that had come to Europe from the new lands in America, like sugar and coffee. Passing largely through Livorno, these goods also reached the Levant. Although there were a lot of differences between the Jewish community in Venice and Livorno, the biggest difference is the approach the christian autorities had towards these communities. Both cities needed the Sephardim for the succes of their trade. However, in Venice this led to jealousy and even a temporary expulsion, while in Livorno the Jews were treated as privileged citizens. Arbel, B. - Trading nations: Jews and Venetians in the early-modern eastern Mediterranean. Cooperman, B. D. - Il ghetto di Venezia. Trivellato, F. - The familiarity of strangers: The Sephardic diaspora, Livorno, and cross-cultural trade in the early modern period. Filippini, J.P. - Il Porto di Livorno e la Toscana (1676-1814): Volume primo. Foa, A. - Ebrei in Europa: Dalla peste nera all’emancipazione.